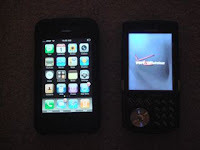 Article first published as Recommended iPhone Apps for New Verizon Users—Part I on Technorati. It's the big V-day, and I'm not talking about chocolates and roses. 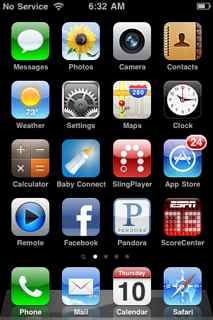 No, it's the day when those shiny new iPhone 4's take to the scene on Verizon's nationwide network. How will Big Red handle the sudden influx of data hungry users? That's for another discussion. Today, we welcome and embrace new iPhone users to the club, and suggest a few solid apps to load or if you're really excited, pre-download and have at the ready for that very first (and likely, really long) iTunes sync. Note that this list will differ from my previous lists for the best free and paid apps for the iPad, Although they are available and certainly eye candy, apps such as Netflix or Slingplayer just don't get much usage from me on the small screen. Also, I don't read books much on my mobile device, so apps like Kindle, iBooks or Google Books, though well designed, just don't get much use on my iPhone. 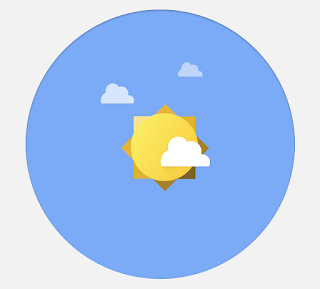 When commuting, I'd rather read news items or play a quick game. That being said, most of the following represent the tried and true, many have likely been "Top Apps" in their respective category at one time or another, others are personal favorites of mine, and some are just for plain fun. Enjoy. 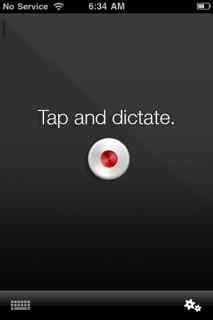 Dragon Dictation (Free) - It's interesting that this one's in business as we use this in education a lot, and I've heard of iPhone users using this app all the time. With Dragon, you have one of the best voice to text applications out there, and though I still rather fumble my way through the keyboard, users swear by Dragon and certainly when you can't type (in the car, hands are full), voice to text is the way to go. IMDB (Free) - how many times have you wondered where you've seen an actor or actress in another film or television show? This is my go-to app for questions like that, especially when my all knowing movie loving brother is not around. Words with Friends ($0.99) - You know you have an addicting game on your hands when on the way to a wedding photo shoot, the entire groom and bridal party is engaged in word battles with each other. A shameless imitation of Scrabble ($0.99)? Probably. More popular and designed better for multiplayer? Possibly, though it seems like there's a price war going on as we speak with both discounted for $0.99. With EA's strong backing of Scrabble, it could be a matter of time before the iconic board game overtakes WFF. Groupon (Free) - Tibetan fish curries aside, if you're not boycotting Groupon for their distasteful Super Bowl ad, then you'll want to download their application to your iPhone. No longer will you have to print out your existing Groupons, and you can browse daily deals, and even make purchases (useful for when the website is having technical issues) directly from your smartphone. Pandora (Free) - As much as I love listening to the radio, it's nice when I know that the station is going to play everything that I like as well as offer suggestions based on my preferences. I listen to Pandora wherever I go, on multiple computers, so I'm always helping Pandora's algorithms further define my listening habits. Having access to my playlists on the iPhone is a must. 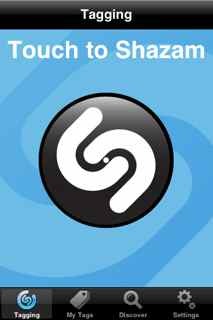 Shazam (Free) - One of the first iPhone apps to be truly useful and cool, I've used Shazam many times to identify a song that was playing somewhere on the radio, in a car, or even at a stadium. Unfortunately, I can only do that 5 times a month without paying now, and it appears that there's a new kid on the block (Sound Hound) that may do it all better. Still, I'll still Shazam it every now and then. 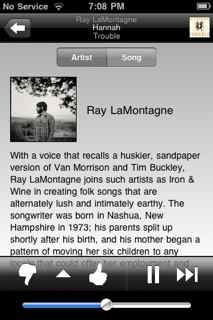 TuneInRadio ($0.99) - Again, I enjoy listening to the radio, and one thing I miss in the iPhone is not having a radio tuner built in. TuneIn essentially fills this void and then some. With a ton of radio stations, you're likely to find your local favorites regardless of where you are. MotionX GPS Drive ($0.99) - One of the biggest downfalls of the iPhone is the lack of a turn-by-turn GPS application. MotionX tries to fill in the gap and it does so reasonably well with this low cost app. You get 30 days to test out the live voice navigation, and you can then add a 30-day or 1 year package, which is great if you only need it for a trip. An interesting alternative for you daily GPS users would be Verizon's VZ Navigator, a free app which requires a $4.99 monthly subscription. CNN, NYTimes, FOX News, NPR News USA Today (Free) - If you're like me and commute to work, you'll likely be interested in a native news app, and here, the choice ultimately depends on what source you'd rather use to retrieve your news. Personally, I like the USA Today app interface the best, though content can be a bit shallow. NPR offers great multimedia integration, and the NYTimes is probably the most popular app of the bunch. Pulse News Mini (Free) - Since we can't have Flipboard (currently iPad only) on the iPhone, Pulse News is probably the closest thing to a visually innovative way of perusing your RSS feeds of choice. Many claim that this is the future of news - local, immediate, and personal. Great for commuters. Wait, aren't there more categories? What about Productivity, Sports, and Travel? We'll finish up the roundup tomorrow in Part 2. Until then, head over to the App Store; you have some downloading to do.